On the night of the 23rd/24th April 2012, the best auroral display for a number of years appeared over Galloway, and for once the sky wasn't obscured by clouds. 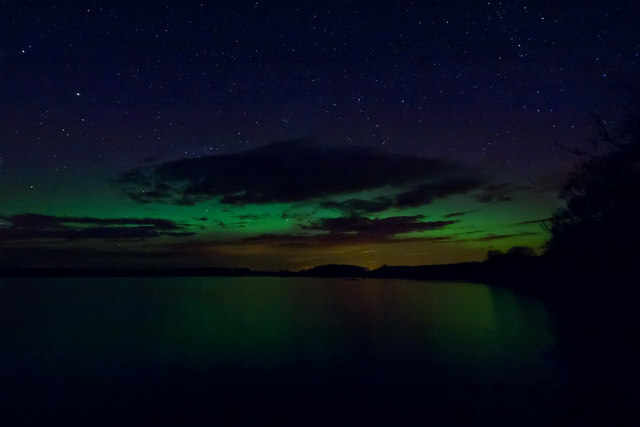 This is how the aurora appeared over Mochrum Loch just after midnight. © Copyright David Baird and licensed for reuse under this Creative Commons Licence. This page has been viewed about 488 times.